Debbie’s Crew House is the perfect relaxing spot to chill beneath the Mediterranean sun during your quest to find a yacht job. We are situated in a Provencal style villa in a gated, secure courtyard on the outskirts of Antibes. For those searching for privacy we also have three independent self-contained studios within our courtyard and garden. All our property is gated and secured (monitored by CCTV). Our bright, spacious accommodation and garden areas will soon become your home away from home ! Chief stewardess Debbie and chief engineer Franco have designed their crew house using their vast experience on board super yachts. Franco is chief engineer on M/Y Kingdom5-KR which is docked in Antibes for most of the year. At least one of them will always be present to advise and help you. You never know who you might find at Debbie’s. Due to its location on the outskirts of Antibes, Debbie’s is also popular with more senior crew looking for a base either between jobs or doing yacht courses. A number of our regularly returning clients have many years’ experience in the yachting industry holding varying positions such as chef, engineer, chief stewardess and captain. Who knows who you might be sharing a beer with by the pool ! Debbie and Franco have over 40 years of combined yachting experience and have built up numerous invaluable contacts during this time. Through these contacts they are often the first to know about crew jobs and day working opportunities. Yachting is an industry built on contacts and reputations. The name of Debbie’s Crew House carries some weight, agents and captains know that a recommendation from Debbie or Franco is well worth considering ! 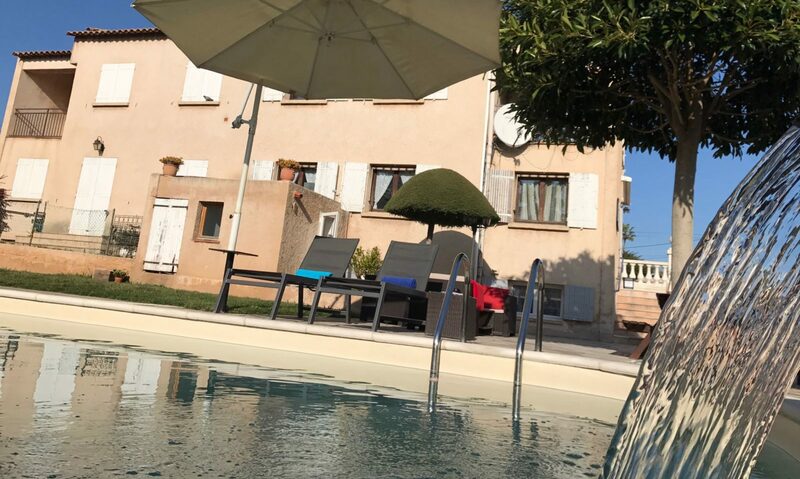 Debbie’s rooms are reasonably priced and its out of town location removes some of the temptation to deposit all of your hard-earned day working cash behind the bar of the many pubs in Antibes ! In fact, there are large refrigerators in the garden to stock your drinks on those hot summer days. After a busy morning, the taste of a cocktail by the pool is priceless !